ProgrammerNerd: The abacus was a good one (I have one too ) but the second?! If you actually have one in your basement, that would be cool! 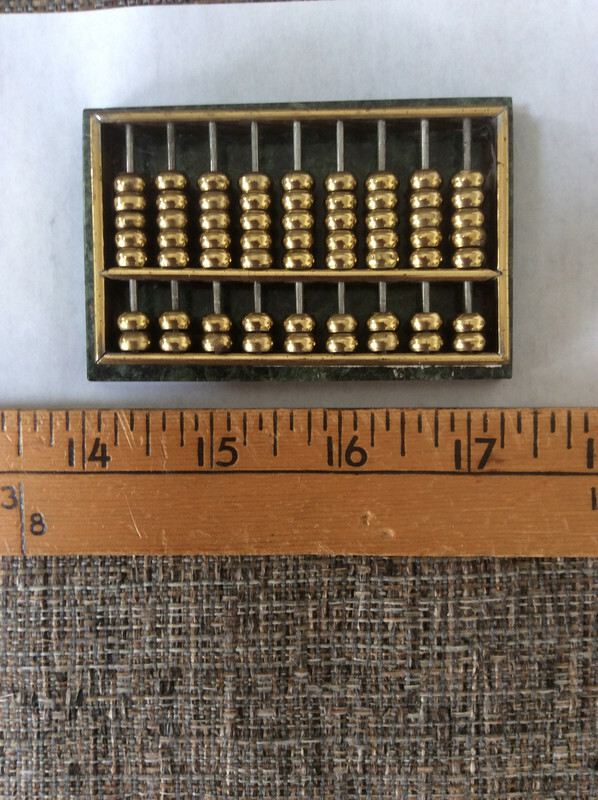 Here’s a pocket abacus I have in my calculator collection. You can carry it in your pocket just in case you come across a situation where you need to do some quick calculations. The abacus looks a little distorted because I had to get close for the picture. It’s also heavy because it’s mounted on a 1/2” marble base. I think it was originally used as a paper weight. 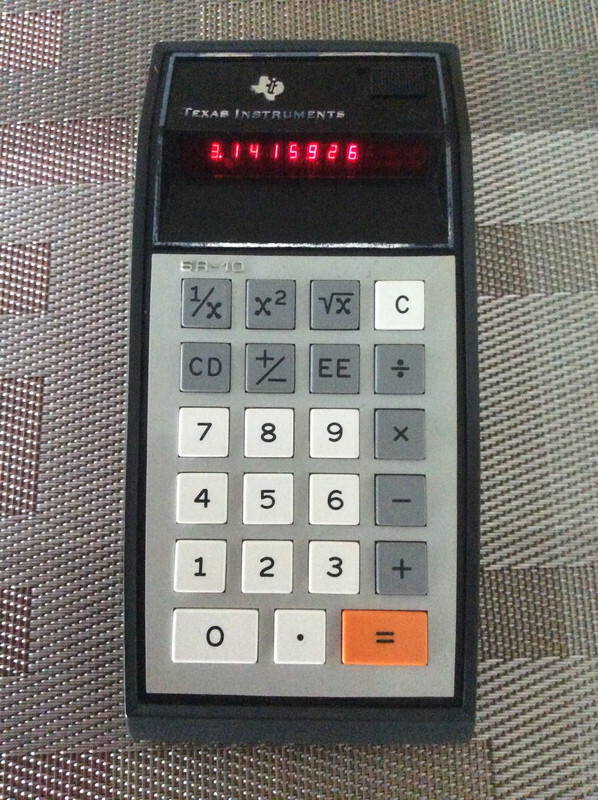 Here’s the latest TI calculator added to my collection. It’s a TI SR 10. I was at a flea market and the seller wanted $3 for it. I figured the batteries were probably corroded and it didn’t work. I noticed there was a plug for a charger, but he didn’t have it. I offered $2 and he accepted. When I got home and was taking it out of the car, I noticed a 0 on the display. Apparently I left it turned on and I didn’t see the 0 because we were in bright sun light when I was looking at it. 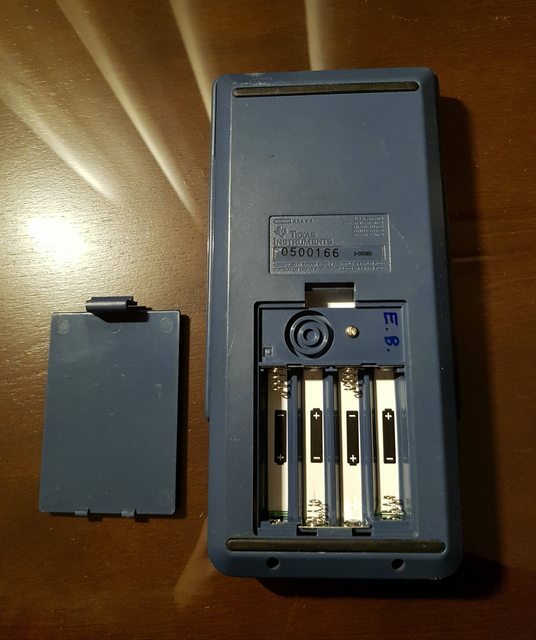 When I took the back off, there were 3 regular 1.5 volt batteries. I guess I didn’t need the charger anyways. I was buying it just because it was old and not for it to work. I guess I lucked out on that one. Wow that's quite a find! Those go for ~$10-20 on ebay! You're especially lucky the batterys weren't dead. How well does it perform? Is it quick at all? There’s a noticeable delay for the calculations, like about 1/10 second. It also doesn’t have good precision. If I take the square root of a number, then square it, the result isn’t exactly what I started with. But it’s OK for a 45 year old calculator. I’ll probably pull the batteries out of it and put it with all my other calculators. 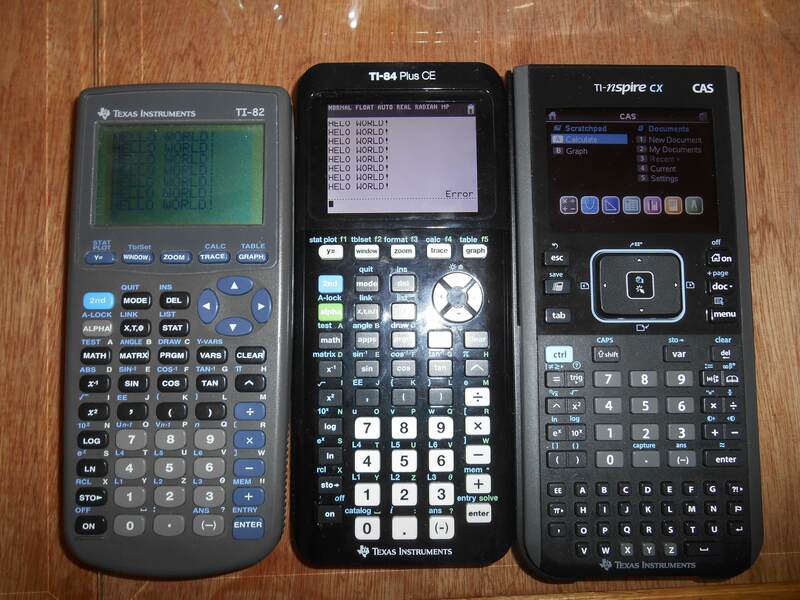 I have a TI83+ and a TI84+CE with ambitions to get a Nspire CX CAS, the Numworks calc, and the HP Prime. 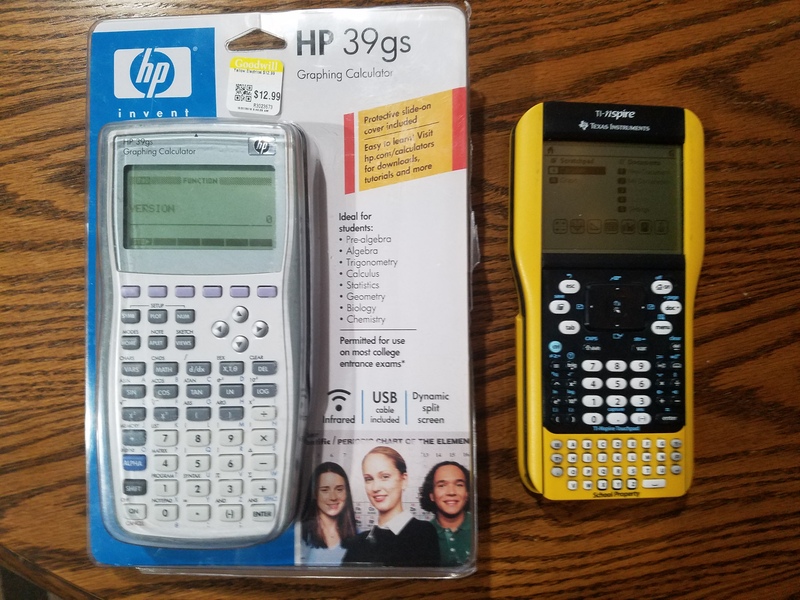 I just have a normal calculator, two scientific, and then three graphing. I used to have an abacus, but it was given to a friend. All are in perfect working order! I have the covers for all except the TI-82. (Though the one for the 84+CE isn't in the image. That's actually a pretty nice little collection. I kinda want a CE. 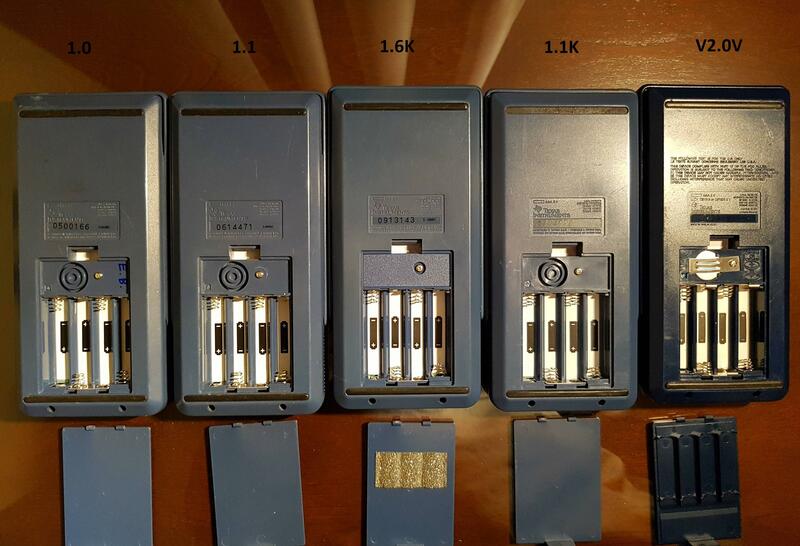 I've gotten a lot more serious about collecting, and have acquired a lot more calculators. I mostly try to get early revisions of various calcs. I have a profile on tiplanet's collection site where I listed some of my calcs (I didn't bother listing the same calc 10 gillion times, so if I bought a classroom set, I only put one or two from the set). One thing I've struggled with is sellers not shipping to Canada. 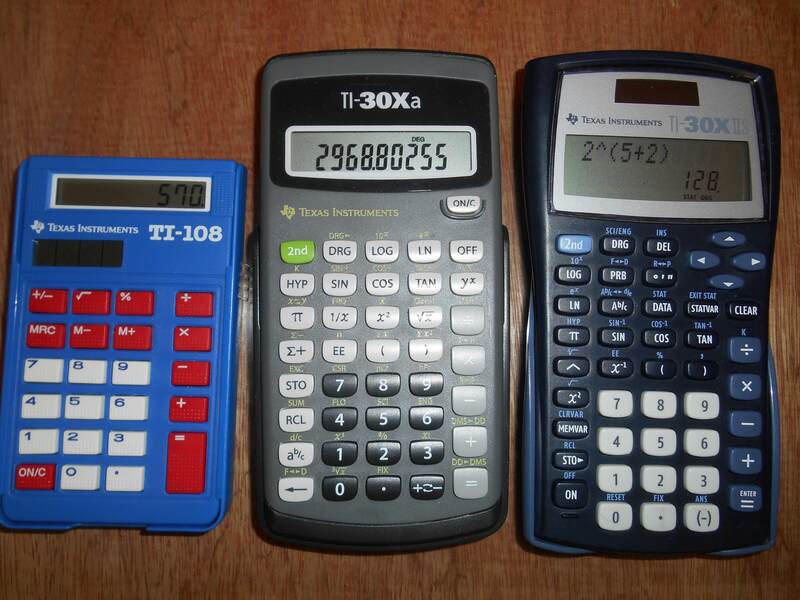 A solution to that has been to send some calcs to non-Canadian members, specifically geekboy1011, KermMartian and Pieman7373 (Big thanks to all three of you ) and then work out how to get the calculators to me. I quite like the idea of gathering all the hardware revisions of a calc, but that's still a little bit out of reach for now. Same thing for ROM revisions, except that that's even a little bit harder because you can't always tell with 100% certainty what the ROM revision of a calc is just by looking at the serial number/datecode. 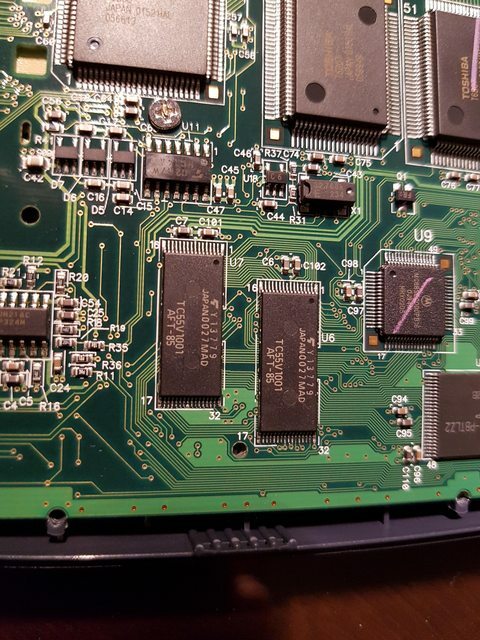 This means that gathering all ROM revisions could entail having to buy a few calcs to gather a single ROM revision. Here’s the latest addition to my calculator collection. I never heard of this brand of calculator. I can’t find much info for it or a manual. I’m confused about the function of one of the keys. It’s the one above the DMS key. If I sum a bunch of values using the sum key to the left of it and then press that key, it give the average of the sum. But the inscription above the key looks like it’s the absolute value of X divided by something squared. Can anyone explain how to use that key or am I using it right, the average of a sum of numbers. I found more info on that key. The bar over the X isn’t the absolute value, but the sum of X. So the something squared probably isn’t something squared but just refers to the count of the number of items summed. So I’m probably using the key the way it’s supposed to be used. 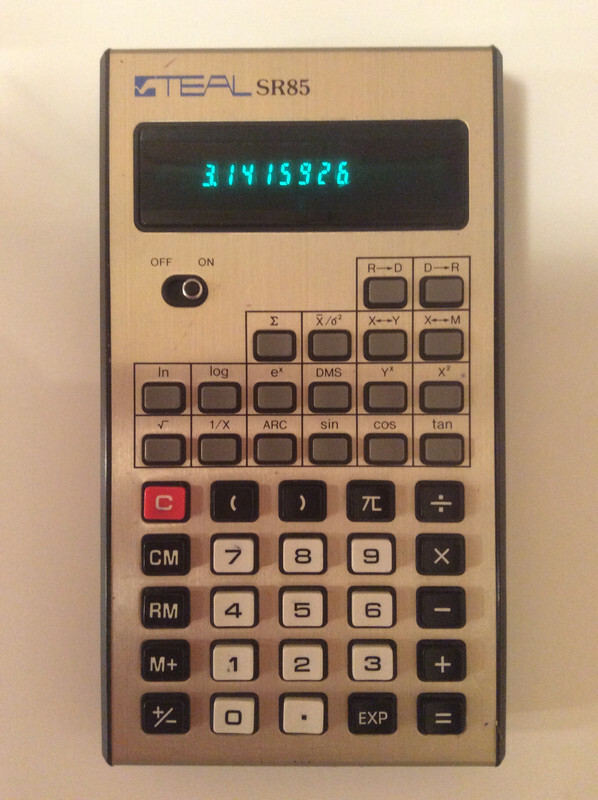 I have just added a TI 89 Titanium to my calculator collection. I am looking to purchase a TI 83, Nspire CX CAS, as well as a HP Prime. I also have an old abacus that I got from a thrift store for 5 Dollars, though I do not really have the slightest idea of how to properly use the abacus. Quick update, I've purchased the earliest known TI-81 (AFAIK), stealing the crown from CVSoft, who has one from June 1990. The one I've purchased is marked as being manufactured in May 1990. 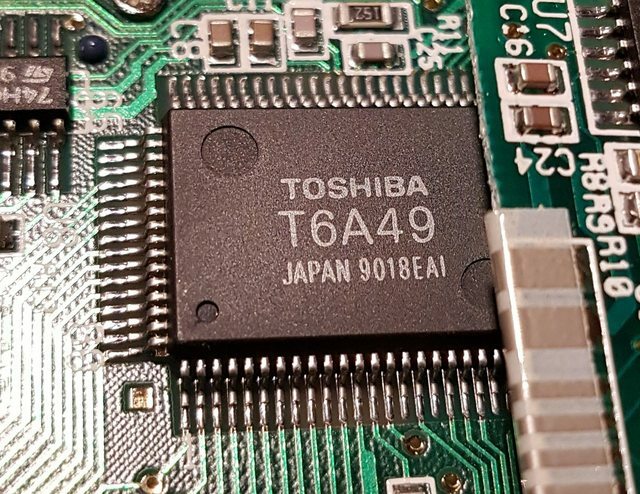 It might be an engineering sample, but I've yet to open it and checked to see if it has a Toshiba T6A49 CPU as opposed to a T6A49A. Here is my updated list of ti-81 ROM revisions in order of date from oldest to newest. 1.6V <-- Not sure if this one actually exists or if it was a mistake that slipped through someone. EDIT: I opened it up and it does in fact have a T6A49, meaning it is most likely an engineering sample. EDIT2: I bought a 1.8K and sent it over to Pieman7373's house and it has arrived. I intepret that label as mean slash variance. So stats for an array of values, possibly there is way to create a list of values and this key gives their average and if you tap it again the variance of the same value or perhaps straight away a result of the mean devided by variance for some reason. After reading what you posted, I played around with that key again using these numbers. 3, 6, 7, 9, 12, 15, 18. As I keyed each number, I pressed the sum key that’s to the left of it. After keying all the numbers I pressed the key and it showed 10. That’s the average of those 7 numbers. I pressed that key again and got 28, the variance. If I square the difference of each number from the average then sum them I get 168. If I then divide 168 by 6, I get 28. According to google, you can divide either by 7 or 6 depending on the type of variance you want. So that key gives you the average first, then the variance. Wow I have the same exact collection! I wonder how that could be. You should share your collection on the tiplanet site. The information users provide helps with documentation. I've recently purchased a TI Voyage 200 which was made in March 2002. That is a whole 3 months earlier than the Engineering Sample on Datamath (the TI-XXXXXXX which was previously the earliest known Voyage 200). It arrived yesterday and I got to take a look inside. Interestingly, all the components are the same as the ones on the ES, but despite being older, the screen bezel reads "Voyage 200", and the board number is the same as a revision A (40E). 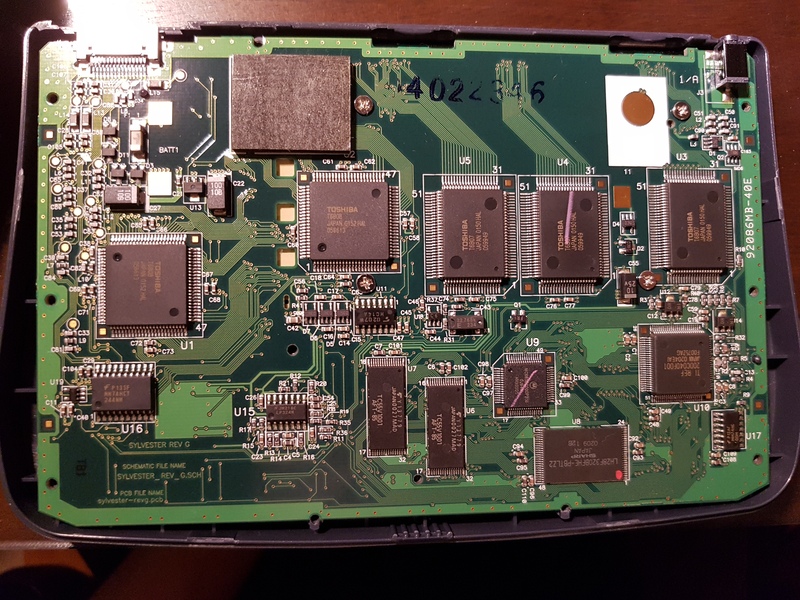 There is no HW revision on the back and the RAM chips are different from the ones found in a revision A (Toshiba TC55V1001 instead of Cypress CY62128). Therefore, it is distinct from both the ES and a revision A. On a different note, I found and purchased a TI-81 with ROM revision 1.5K, completing my collection of TI-81s (assuming the elusive 1.6V doesn't actually exist). It is in pretty bad shape, there are a few pixel lines missing and unfortunately, it is missing the sticker on the back that contains the serial number and datecode. I believe 1.5K was only produced during March 1991, but that's not certain. The physical calculator is actually with Kerm for the moment because of shipping reasons but if everything works out, we should see each other next September at maker fair and then I can take a glorious picture of the entire lineup. EDIT: Once I open up the 1.5K, I'll be able to get an actual estimate of what the datecode would have been and see if it corroborates with my suspicions. © Copyright 2000-2019 Cemetech & Christopher Mitchell :: Page Execution Time: 0.130084 seconds.